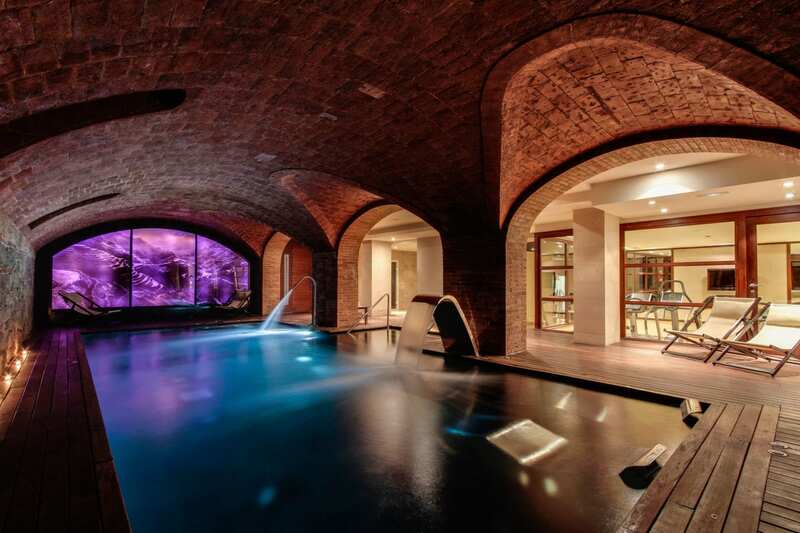 Situated in the very heart of Barcelona’s Gothic Quarter Hotel 1898 is one of the city’s most intriguing residencies. Housed in the former head office of the Compañía de Tabacos Filipinas (Philippines Tobacco Company) its 19th century structure has been beautifully restored as a luxury hotel. 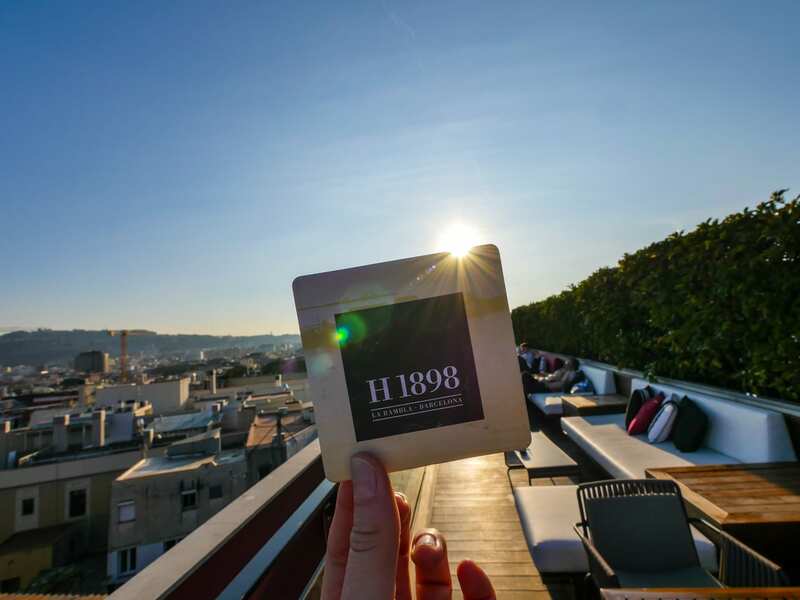 If you’re planning a visit to Barcelona and looking for a stylish, central hotel, consider Hotel 1898. 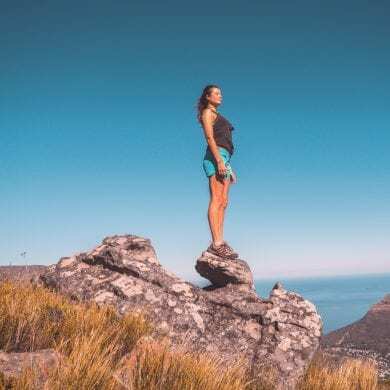 My two night stay afforded me the opportunity not only to see the well-known sights in Barcelona, but thanks to the reception staff at Hotel 1898 I also uncovered some of its hidden gems. 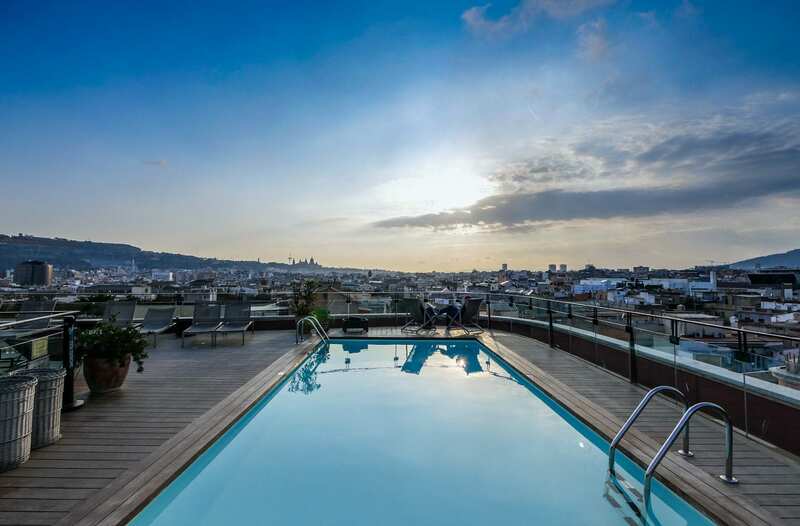 Looking for a hotel room in Barcelona? 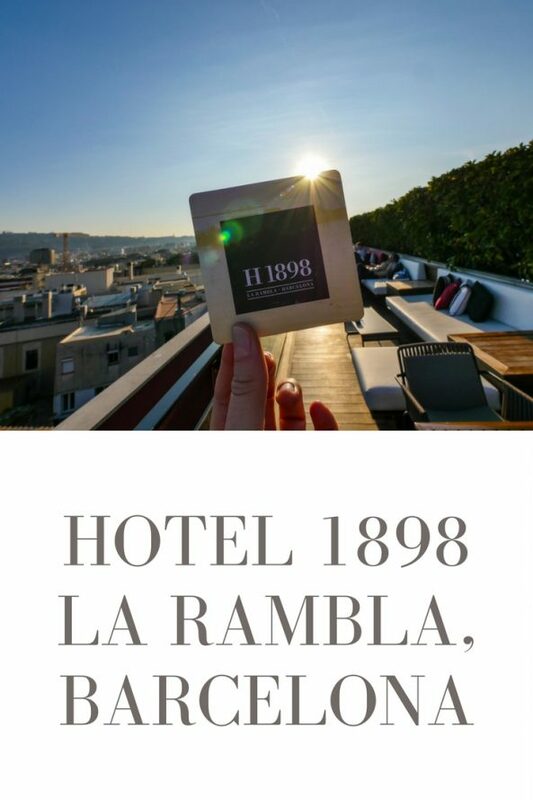 Here’s my review of Hotel 1898 La Rambla. Although part of the Núñez i Navarro hotel group, Hotel 1898 is most definitely unique. 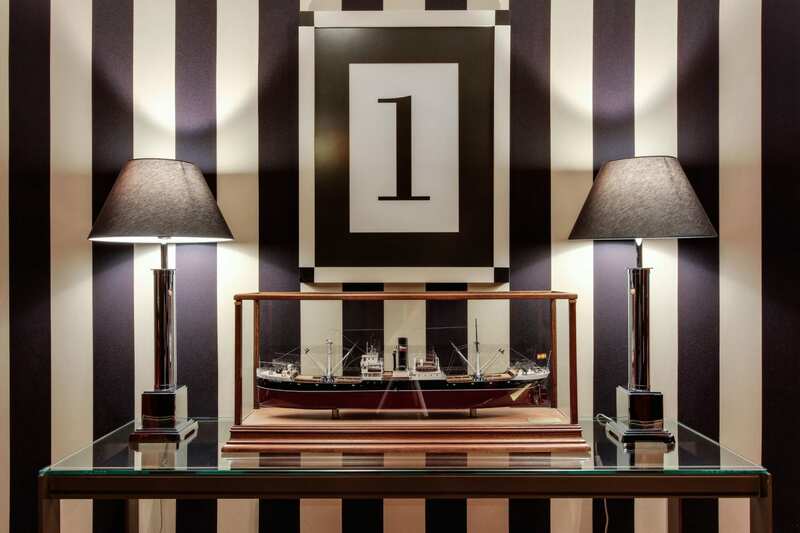 Taking inspiration from its heritage the hotel’s interiors boast grand architectural features and chic furnishings which sit perfectly alongside bold monochrome photographs that depict scenes from the former occupier’s once-thriving industry. Dark wood wainscoting and wide pinstriped fabrics set the tone; think private yacht club meets colonial Spain. 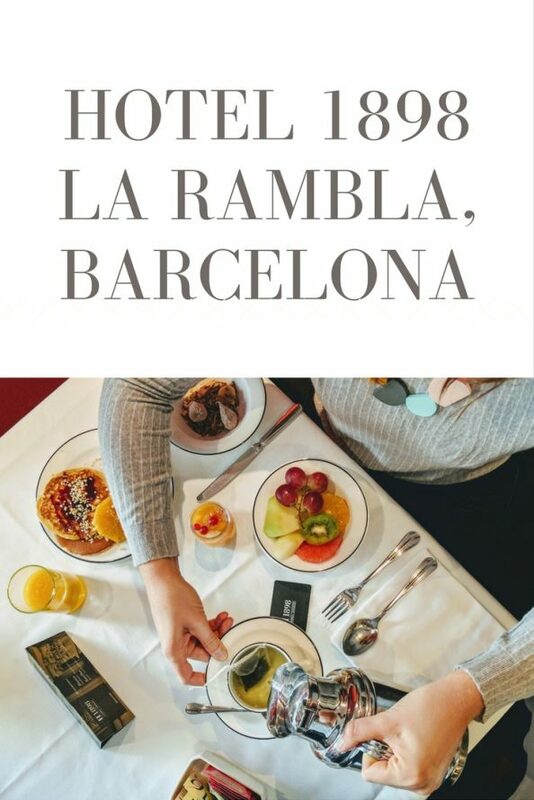 A stone’s throw from the hustle and bustle of La Rambla, Hotel 1898’s position is convenient to say the least. I walked the 5.5 km (3.4 miles) north to Barcelona’s infamous Parc Güell and enjoyed the short stroll to my restaurant of choice Flax & Kale. 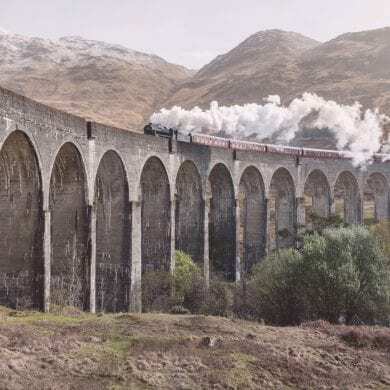 And although one might think the noise from such a melee may interfere with restful slumber, I didn’t hear a thing from my well-insulated room. 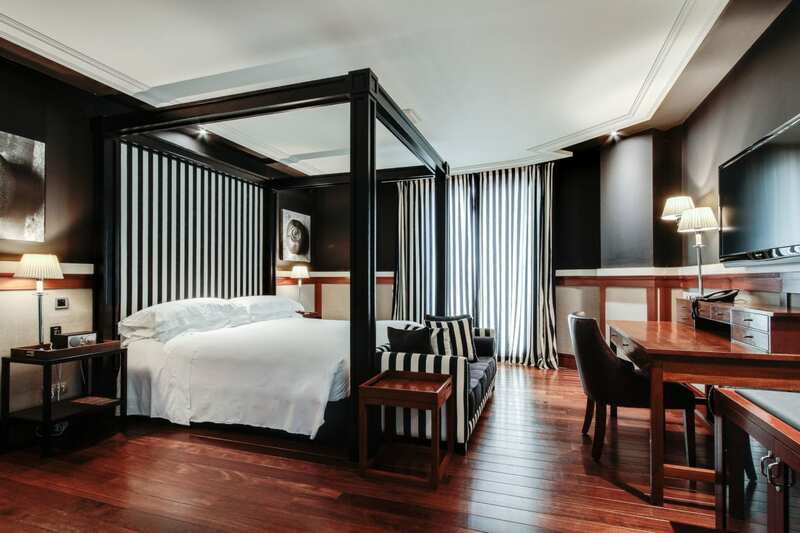 At Hotel 1898 you’ll find that its monumental style is perfectly balanced by attention to detail. 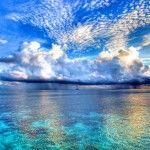 Nothing is overlooked. Offering a sumptuous breakfast buffet with everything from fresh fruit and pancakes to cold meats, sweet treats, and hot favourites, the hotel caters to every taste. The Mediterranean restaurant and open-air tapas bar offer distinctly different dining experiences, and the hotel’s heated roof-top pool and underground spa provide ample opportunities to unwind. With crisp white linens and a demure colour palate my room came with balcony views of La Rambla and a vastly comfortable king-size bed. Free wifi, a pillow menu (the first I’d ever seen), and a personalised lighting system were additional extras I very much appreciated. The marbled bathroom was spacious and offered a wide selection of toiletries, and premium bottled water was supplied each day. 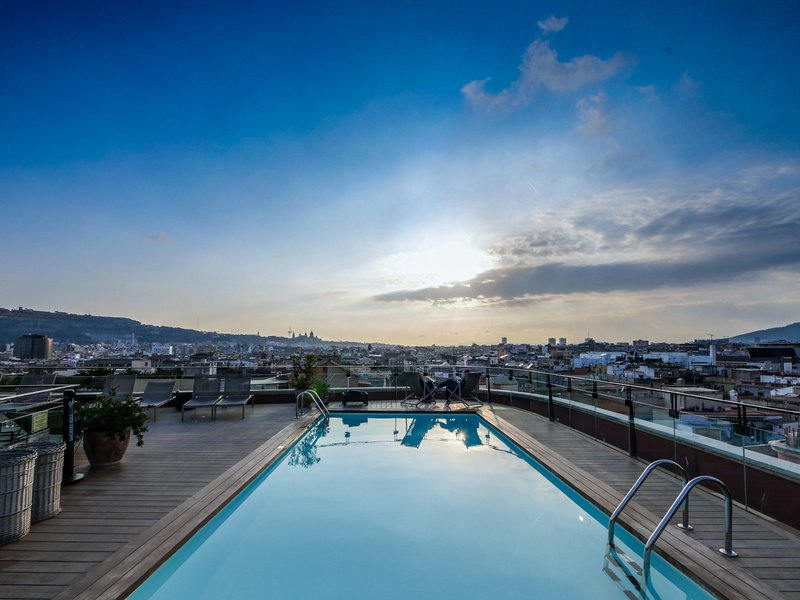 Hotel 1898 offers a distinctly different stay in the heart of Barcelona and is ideal for all manner of visitors.